Roof membranes are an essential part of almost any roofing project. This is particularly the case if you're using metal or plastic roof tiles. 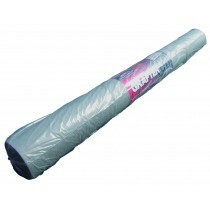 This is as they aid ventilation and therefore prevent moisture from forming in your roof space. This is the primary cause of dampness and, therefore, rotting timber. 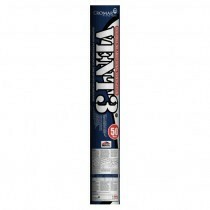 Our range of roof membranes includes those manufactured by Britmet, Extralight and others. These are ideal on both boarded and non-boarded roof spaces. 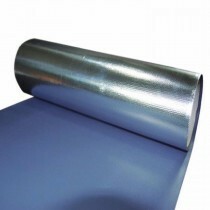 Some also utilise multiple layers to offer maximum durability whilst ensuring any water vapour can escape. With fantastic waterproofing capabilities, our range of membranes ensure that your roof space is protected from severe rain. Many of our roof membranes, such as those crafted by Cromar, are also shown to limit the potential of any uplift caused by bad wind. Have Questions About Our Roof Membranes? If you have questions about our range of roofing membranes, speak to our team by telephone or via the online chat. With over 40 years of experience in roofing, we’ll help answer your questions about membranes. We will also help you pick the necessary accessories to securely fit our membranes. Buying roofing materials can be daunting, especially when ordering them online. With over 40 years of experience in roofing, however, we get asked lots of questions about our range of roof membranes. Here are some of the most common questions with answers for each! Why Do I Need a Roof Membrane? When using metal or plastic roof tiles, it is essential that your roof space is well ventilated. A failure to do so could result in moisture building up. This will impact the effectiveness of your loft insulation and, in severe cases, result in timber rotting. Membranes protect your loft space by allowing water vapour to escape more easily. You will typically use this in partnership with ridge and eave vents for maximum air flow. Some roof membranes also prevent other roofing issues, such as tile uplift caused by severe winds. Do I Use a Membrane with Roofing Sheets? Yes, in some cases you may be required to use a breathable membrane with roofing sheets. This is particularly the case on larger projects, such as a home or office. Simply refer to the manufacturer’s guide, which will often recommend the most suitable membrane for that particular roofing sheet. Can I Use a Roof Membrane on a Boarded Loft Space? Yes, membranes can be used on both rafters and boarded roofs. This is as moisture can build up on both roof types when metal or plastic roof tiles are used. Simply ensure that you refer to the manufacturer’s guide, as installation methods may vary on different roof types. How Else Can I Ventilate My Roof? As outlined in our guide to roof ventilation, there are numerous ways you can improve the ventilation of your loft space. This is primarily through the use of a breathable membrane and eave vents. In some circumstances, you may also benefit from the use of ridge ventilation. If you have more questions about our roof membranes, speak to our team online or by telephone. With 40 years of experience in roofing, we’ll help answer your questions and will ensure you have everything you’ll need to complete your roofing project.